Eastvaal Motors | The all-new Renault Duster has arrived. More robust than before, the all-new Renault Duster boast an enhanced ground clearance of 210mm, and higher approach and departure angles for greater off-road capabilities. 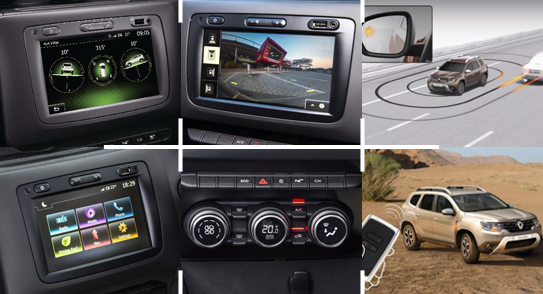 The bold new Duster is more equipped than ever with the introduction of advanced technology such as Multiview Camera, Keyless entry, Hill Descent Control and Blind Spot Detection. Its impressive Fuel compression from only 4. 8L/100km will allow you to go even further - on any terrain. Reignite your passion in the all-new Renault Duster.